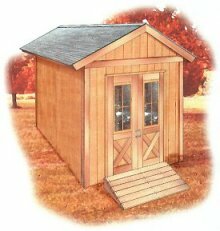 A cabin is usually a small, roughly built house with a wood exterior, typically found in rural areas. 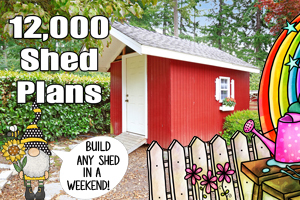 But you can build yours anywhere with these free cabin plans. Cabins are perfect as a cozy spot when you want to get away and spend time at your property. 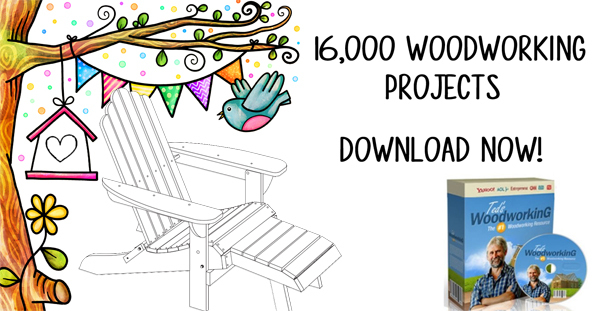 After a day of hiking, fishing or at the beach, you can come home to a comfortable cabin you built with these free plans. So much more comfortable than a tent. 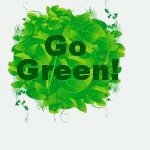 In building green, whenever possible, building materials can be gathered from the site itself. If a new structure is being built in a wooded area, wood from the trees which were cut to make room for the building can be reused as part of the building itself. Cabin has a combination living and dining area, kitchen plus a built-in double deck bunk. 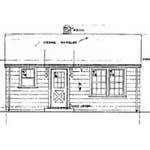 Plans for a cabin with 3 bedrooms, an outdoor porch and a front and rear balcony off the upstairs bedroom. 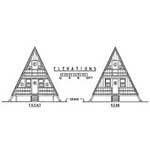 This two storey A-frame has a living area, kitchen and bath downstairs and 2 bedrooms each with a balcony upstairs. 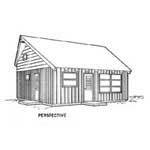 Here are plans for a charming little cabin that has 3 rooms, a full front porch and plenty of windows. 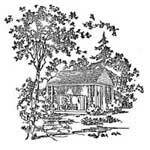 This is a one room cabin with a gable roof, wooden floors and a front porch with built-in bench. 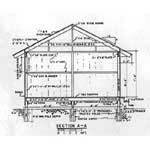 Plans for a cabin with a dormitory loft and 2 bedrooms, bathroom, kitchen and living area on the first floor. Small cabin with two double tiered bunks and a living space. 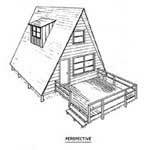 This attractive cabin offers a large front deck area, with living, kitchen and bath downstairs and 1 bedroom upstairs. Strong "rigid frames" provide wide, clear living space. 24 ft. by 20 ft., plus 6 ft. covered deck, but can be lengthened. 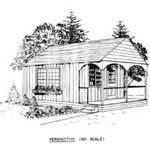 700 square feet of living space, including kitchen, bathroom, living room, three bedrooms and large decks. 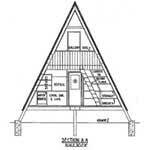 A-frame design. 1,100 square feet of floor space, including kitchen, large living room, bathroom and two bedrooms.